Local service providers like florists, movers and packers, Air Conditioning & Heating, Contractors, Electricians, Home Cleaners, Landscapers, Locksmiths, Painters, Plumbers, Pest Control, or any utility you just name them who generally possess limited marketing budget or startups who haven’t tried digital marketing yet, we help them sail through digital competition by tailoring the marketing strategies to their needs and preferences. We bridge the gap between the local vendors and people searching for them from the comfort of their home, giving every business owner a digital presence they deserve. Request your FREE SEO audit. 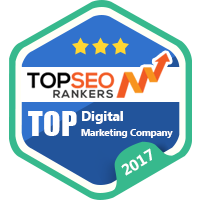 Passive Lead ranks among top digital marketing agencies in Bangalore that help businesses to achieve their goals, i.e. grow more traffic, leads, and revenue, through genuine SEO, SMM, PPC, etc. strategies, tailored with quality to suit every individual preferences. Passive Lead will make your online virtuoso more powerful than ever.